Grape Variety: 45% Garnatxa, Mazuela / Carinyena 30%, Cabernet Sauvignon 25%. Vineyard: Finca “Barrac de la Bruixa”. Municipality of La Morera of Montsant, Priorat. The vineyard has the characteristic slate soil of the Priorat region that produces grapes rich in minerals and wines with personal expressions. Harvest: The Garnacha grapes were harvested during the first week of October, the Cariñena y Cabernet Sauvignon grapes were harvested during the second week of October. Wine making: After crushing and destemming, the grapes were brought into stainless steel deposits for pre-fermentation in cold at 14 degrees Celsius for 3 days to accentuate the aromatic expression before proceeding to the fermentation. The alcoholic fermentation takes place at a temperature of maximum 28 degrees Celsius. The bleeding of the partially fermented must takes place after 20 – 25 days. A good maceration permits us to extract a good dosis of tannin structure as well as anthocyanins. The wine receives daily pigeage plus two remountings with a pump. Ageing: The wine is aged for 10 months (on occasions for up to 12 months). The malolactic fermentation and subsequent aging takes place in French oak barrels of medium plus to strong toast. Total Tartaric Acidity: 6.45 gr/l. 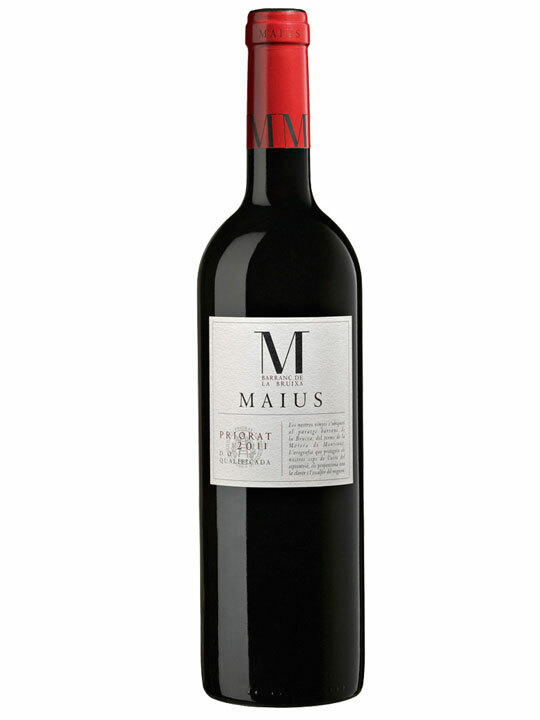 Type of Wine: Maius Classic Vintage 2009 is a classic wine with modern touches, good color and brilliance. Nose: Denotations of red and burgundy fruits with complementing touches of wood, smoke and chocolate. Denoting the origin of the wine, balsamic and minerals touches are also present together with sensations of graphite, charcoal and empyreumatics (toasts, chocolate and leather). Palate: The wine provides an elegant entry in perfect balance between the tannic-acid and the alcoholic-oily fractions of the wine with a long and persistent aftertaste.